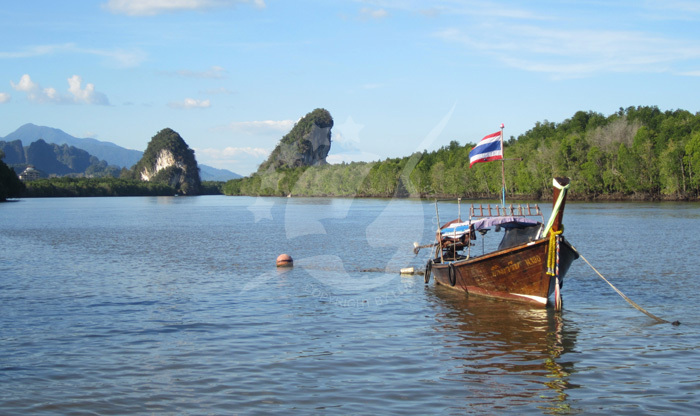 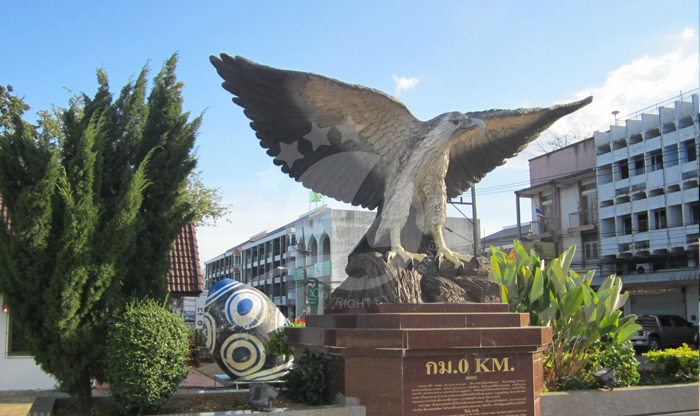 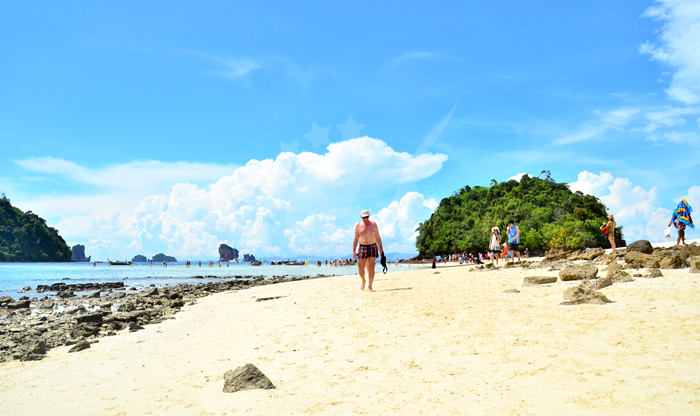 Krabi Town is a wonderful little town of about 25,000 citizens, situated a little upstream from the Andaman coastline. 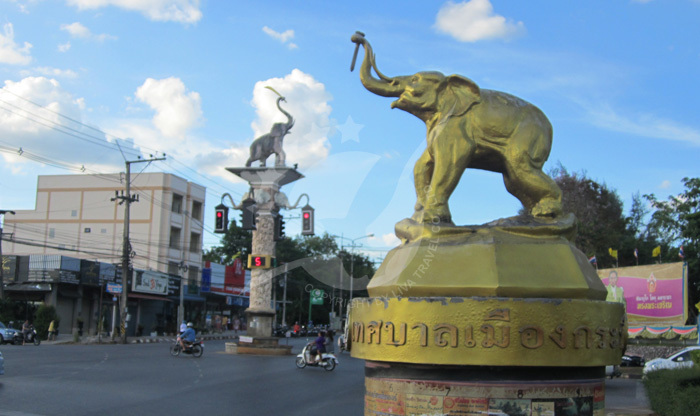 The town is nice and cultural, with a relaxed local feel, certainly a pleasant stop for travellers looking for a nice place to shop and eat outside. 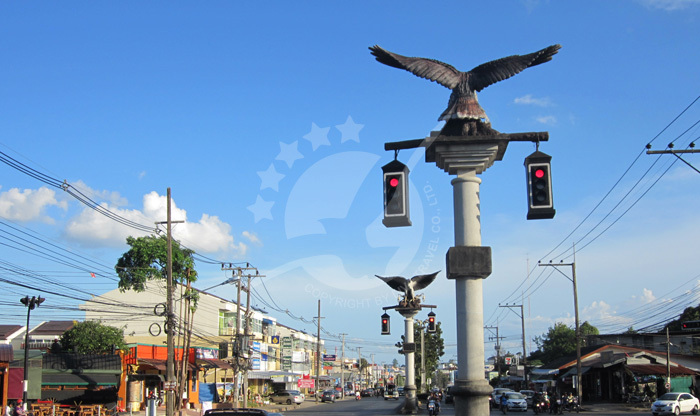 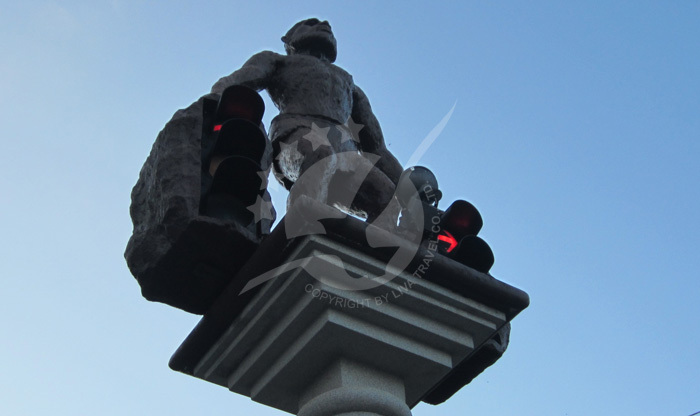 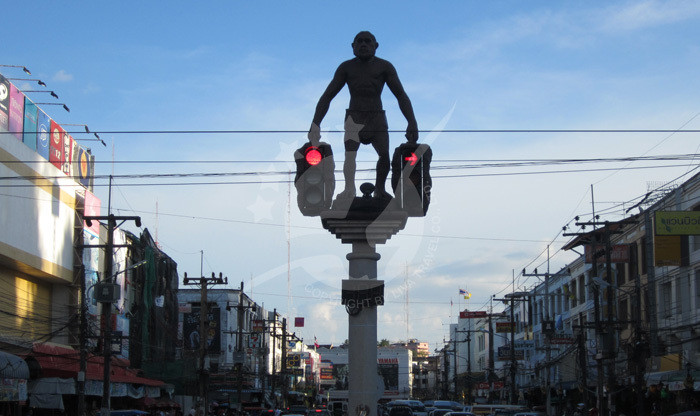 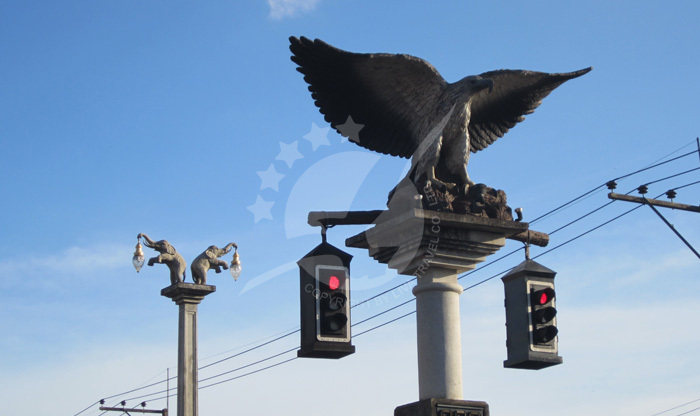 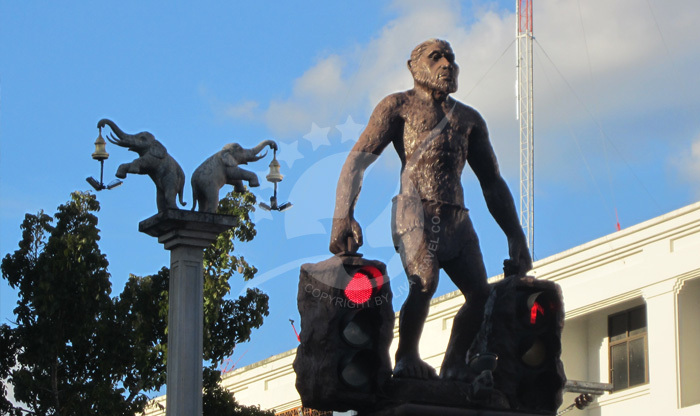 To add to the Krabi Town flavour, keep a look out for the ape statues holding the traffic lights. 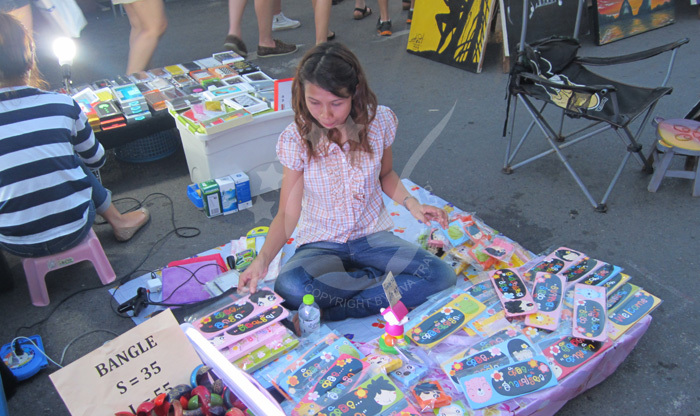 Markets are aplenty, hosting cultural craft work that you can pick up cheaply. 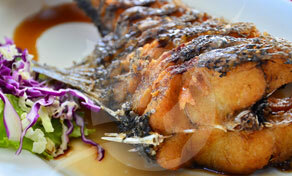 And, being on the river, there's lots of fish and seafood to eat! 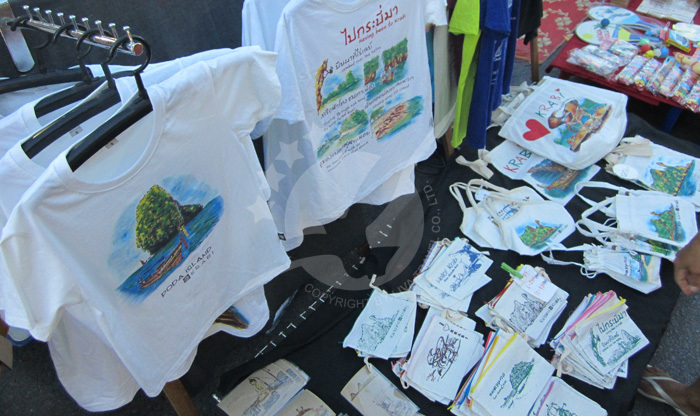 Situated away from the tourist-rich beach areas, Krabi Town is a nice, locally priced shopping district. 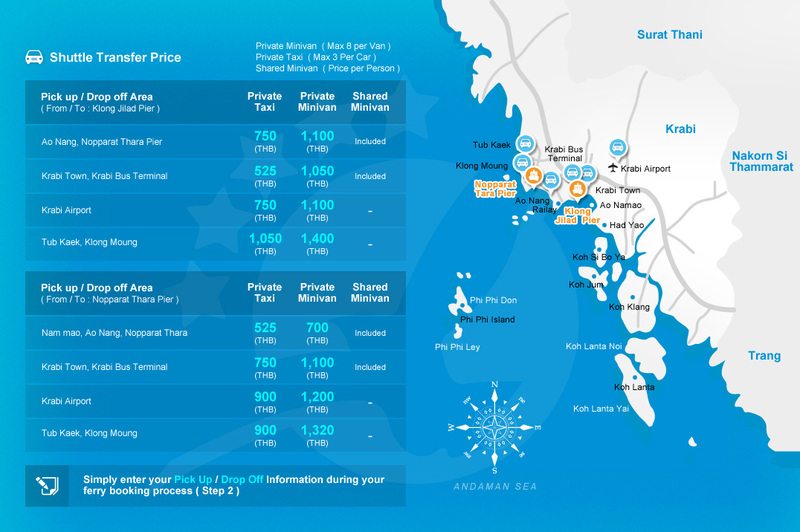 Food and drink prices are cheaper and just as extensive - perhaps more so. 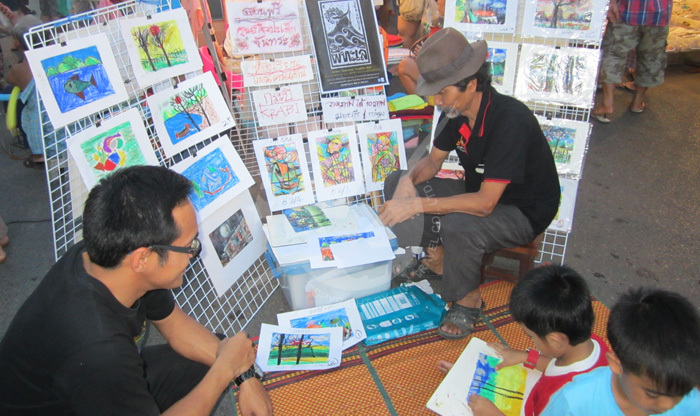 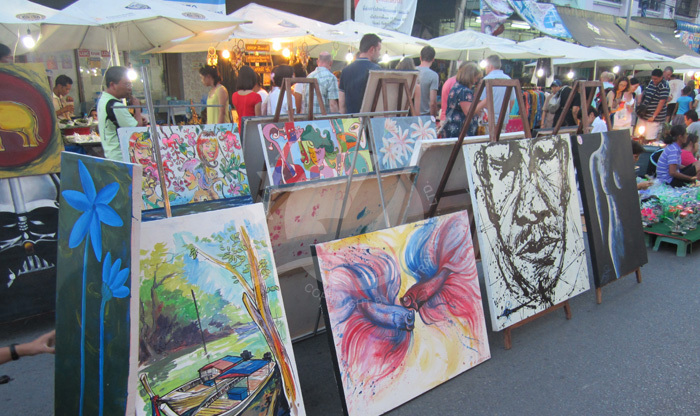 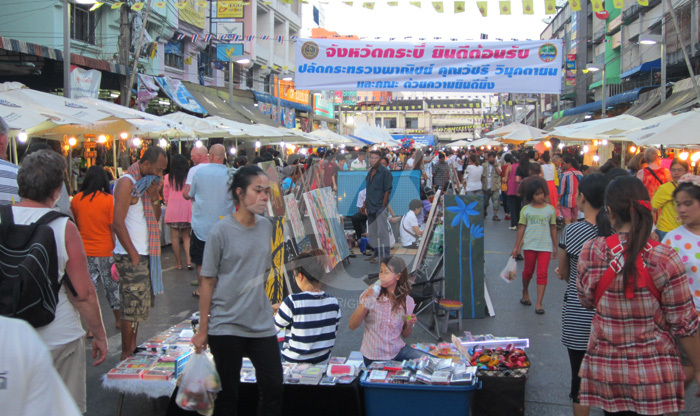 On weekends, there is a really cool "Walking Street" market from around 5pm-10pm where you can pick up some local art and craft items, again reasonably priced. 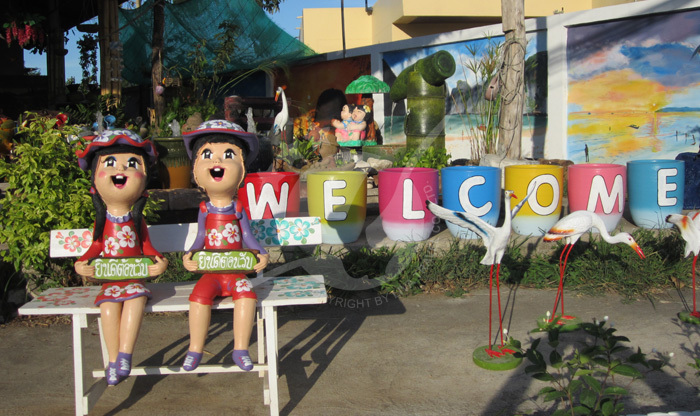 A couple of big hypermarkets in the town ensure that you can get your groceries and gadgets before hopping to other isles. 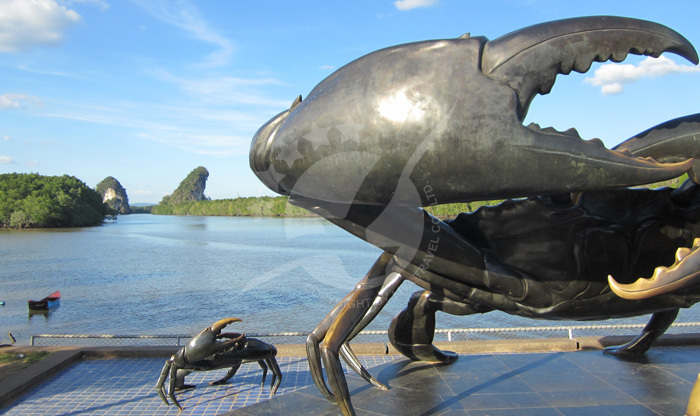 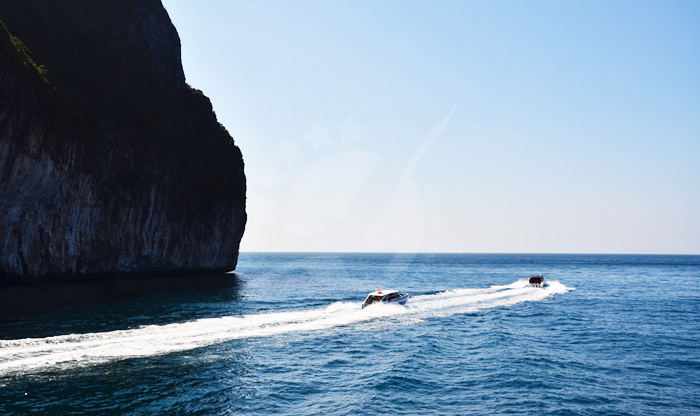 A rich mix of elegant and authentically Thai restaurants and eating spots pepper the streets of Krabi Town. 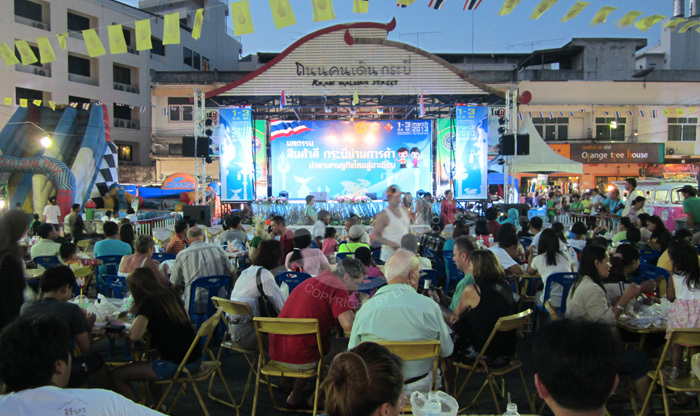 Of course, the local day and night markets provide lots of Thai snacks and tasty seafood dishes - the seafood is as fresh here as by the beaches. 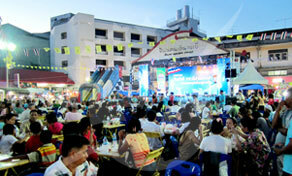 Daytimes, there is no end of small restaurants from recognisable brands to one-man noodle stands. 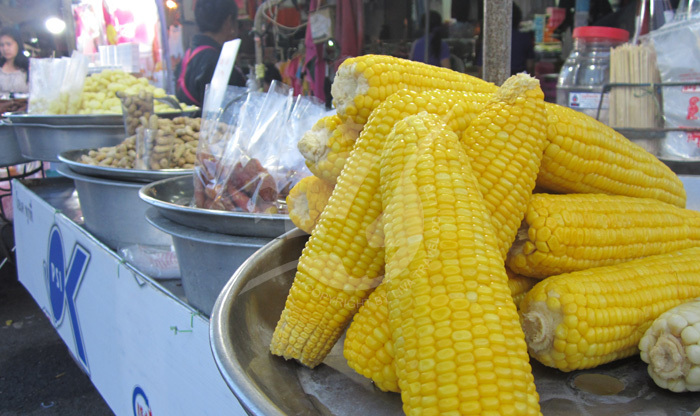 When the evening comes the choices exponentially rises, especially around the night markets… Cheap, authentic, delicious! 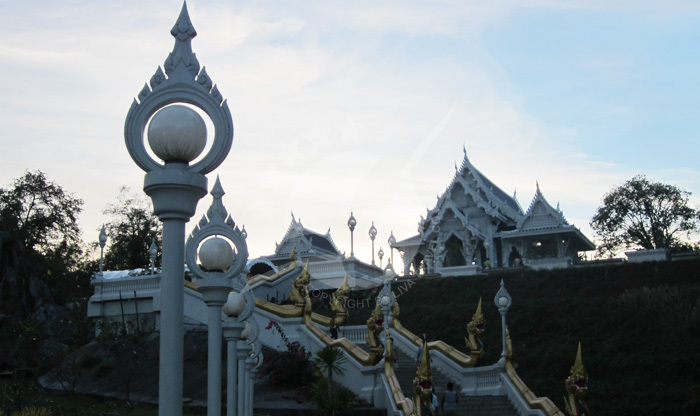 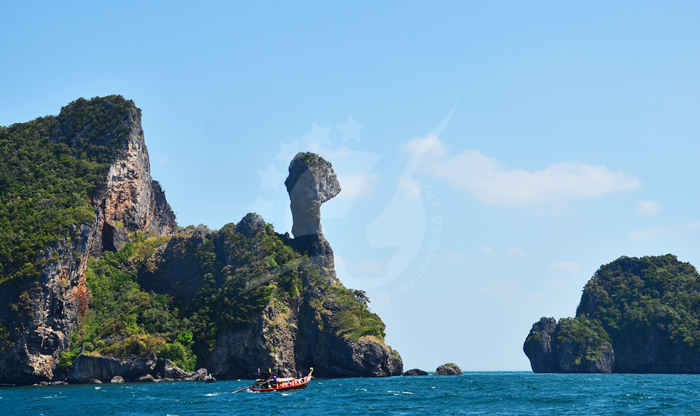 The Khao Khanab mountains, standing at a hundred meters tall are one of Krabi's most famous landmarks. 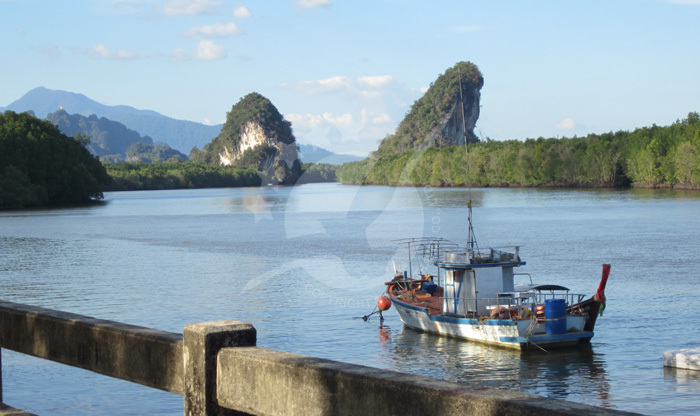 They're like a great gateway to the city with the main river running straight through the middle of these wonderful limestone cliffs. 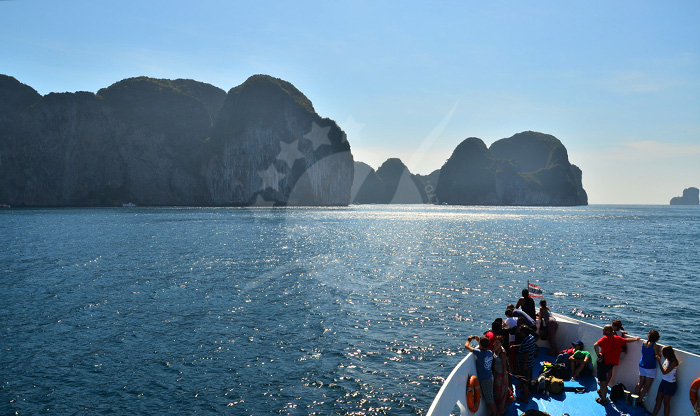 It's possible to journey through the stalactite and stalacmite rich caves via kayak or tour guide via a stairway, and one of the mountains can even be climbed. 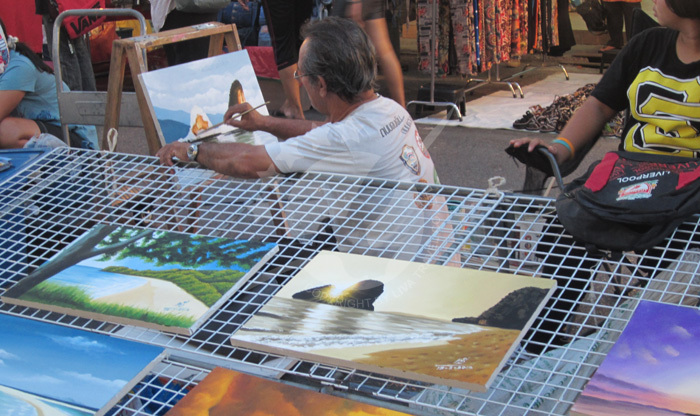 While there, why not check out the local Ko Klang fishing village, where you'll find local tools and artefacts being hand crafted daily. 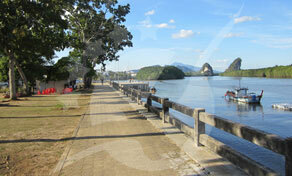 It's a nice way to spend a sunny afternoon, walking along the wide footpath that runs south from Chao Fa Pier to Thara Park. 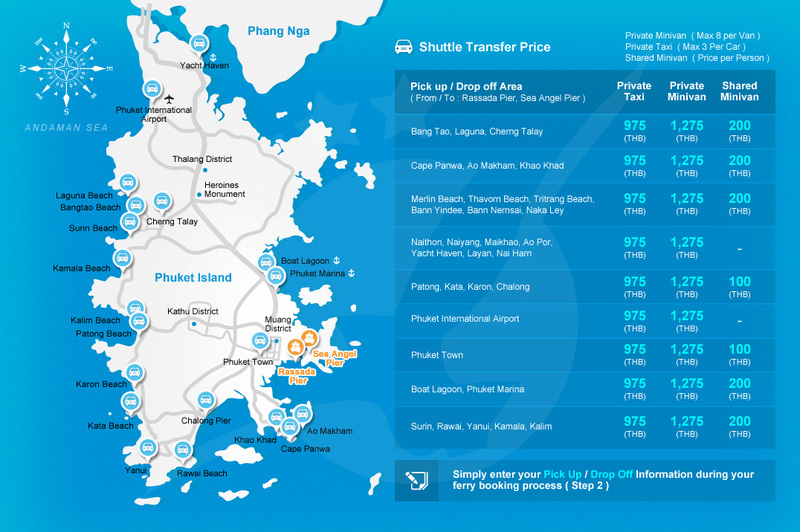 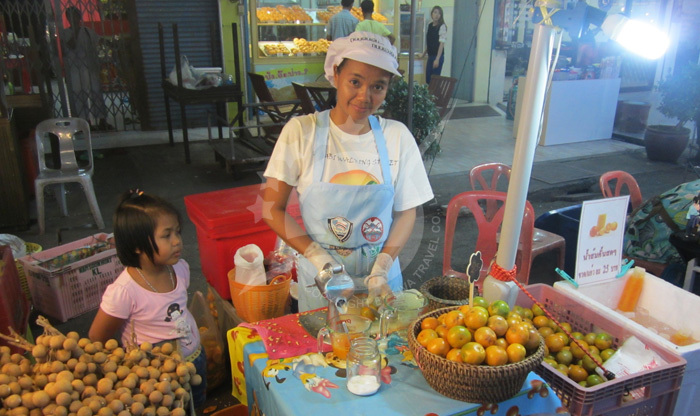 Along the way you can pick up some tasty snacks and Thai fruit to accompany your journey. 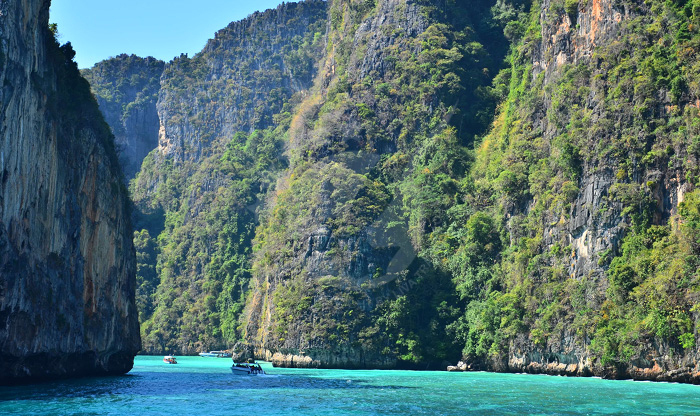 Delightful interconnected walking trails give you heaps of options. 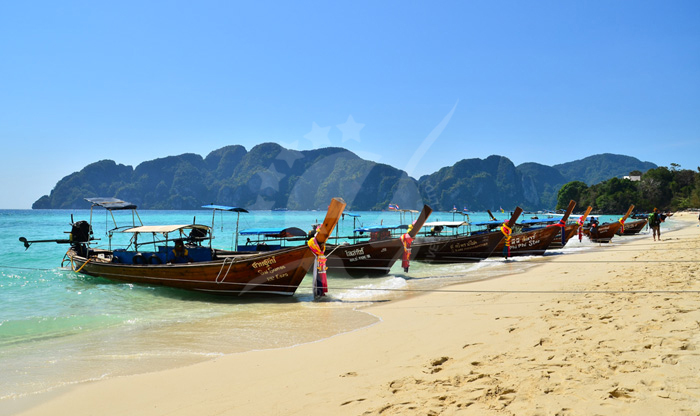 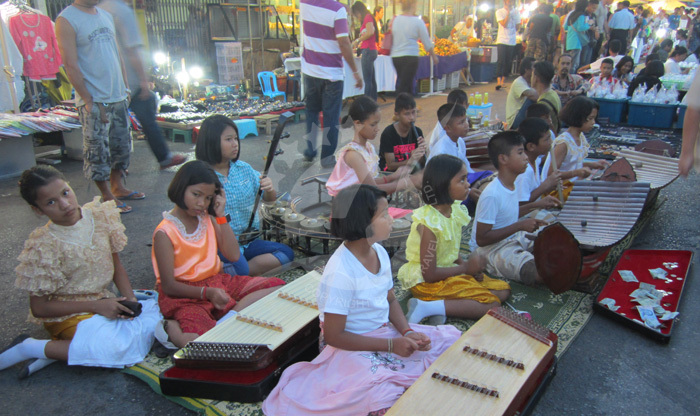 You can keep fit by jogging around and playing a little tennis, embrace the peace by watching the boats go by or reading a book, or you can have a little fun with the Thai alphabet in the children's park.